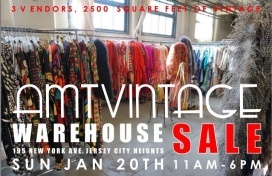 Shop for men and women's apparel, accessories, and footwear at reduced prices at the Another Man's Treasure Vintage Warehouse Sale. Accessories are available for $5 only. $10, $20, and $30 vintage racks are available. 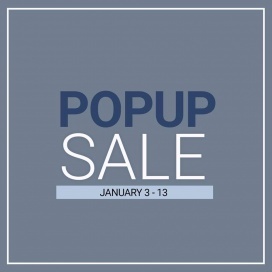 Shop for women and kids' sleepwear at reduced prices at the Komar Sample Sale. Brands included on sale are Jane and Bleecker, Aria, Carole Hochman, BedHead Pajamas, iRelax, Cuddl Duds, Le Mystère and On Gossamer. There will be 100 brands on sale. Shop for sleepwear and lingerie for women and kids' apparel at reduced prices at the Komar Multibrand Sample Sale.